If the flow rate is of the order of 2-40 scfm please choose from the MTA, VTA or LTA models or the MVTA925 flanged units. If the flow requirement is higher than 40scfm please choose from MVTA models. 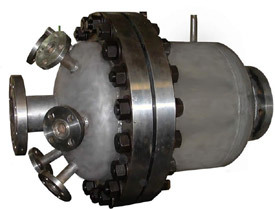 Airtorch units are supplied with several safety features like the over temperature cut-off feature and the low flow cut-off feature (model dependent). VTA Airtorch ™ models are process air heaters designed for use with fan/blower (maximum back-pressure of 50 w.c./inches of H20 ~ 1.8 psi.). 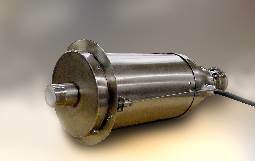 LTA Airtorch ™models are process air heaters designed for compressed air/gas input. LTA models offer temperatures up to 850°C. 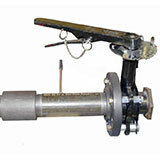 Exit and inlet diameters and threading is described below along with each model number. 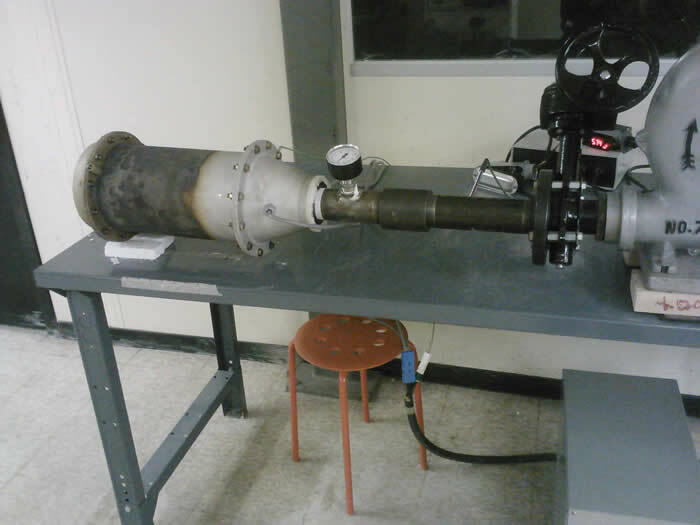 Airtorch Operation: The flow rate and temperature are related. The air/gas heater should not be used beyond its rated temperature or power. The thermocouple is integral to the heater. The principle of an air/gas heater is for flowing gas to heat within the residence time of heater/configuration. 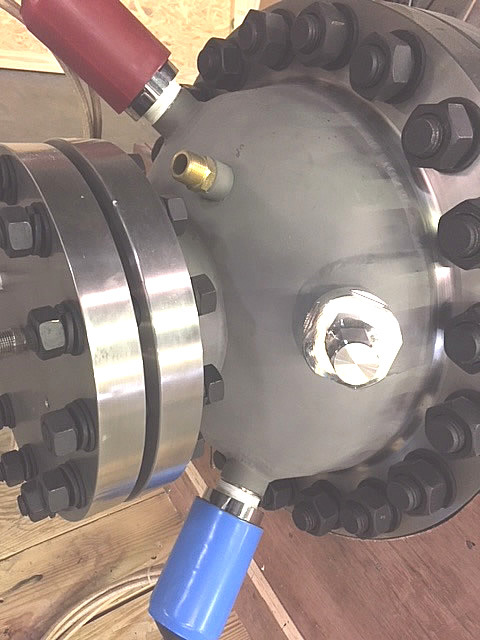 Flow Rate is Important: If using a blower or fan the air flow will be controlled by the characteritics of the fan or blower. Fans are employed when the drop in pressure of the system is no greater than approximately 50 in. w.c. (50 in. w.c./inches of H20 is approximately 1.8psi.) This condition remains true even when the fans output large CFM.. Blowers are considered in circumstances where larger pressure drops are present. 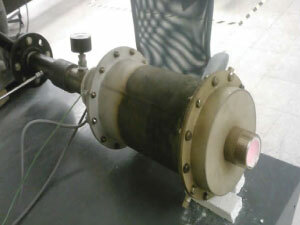 For LTA and MTA when the inlet flow is pressure driven, the flow rate is often set by an appropriate SCFM flow meter. Minimum flow rate rated for the should be maintained when powered. MHI power controllers cmay be used to set the power. 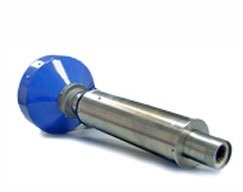 VTA models include an integrated Type "K" thermocouple. The VTA models are highly energy efficient, allowing for less energy use and cost savings. VTA models are fully compatible with MHI electronic control panels, allowing for accurate control of flow rates and temperatures for your process. Suggested uses for these models include integration into existing heating systems for cable conveyors, drying, process heating, coatings, production line heat treating and a number of other specific process applications. Most units are compatible with an optional control panel. Contact us or call us at 513-772-0404. 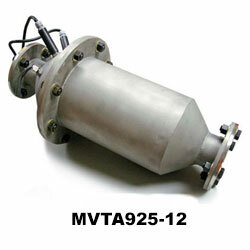 VTA-BL models have integrated air/gas controls. 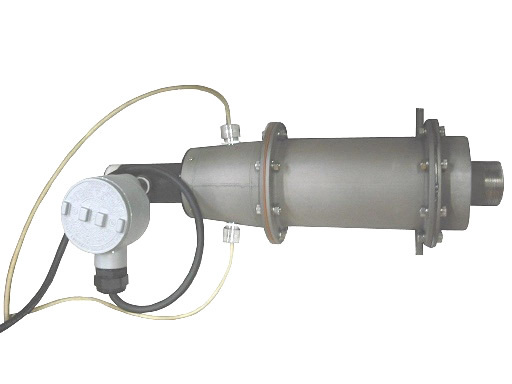 VTA models offer low flow cut-off with extendable user interface. Fan control is available with the FANCS, which also includes a temperature controller. Schematic of Blower, Air Flow Valves and Low Flow Safety Features Provided by MHI are shown in the adjacent picture. 4kW 208/220/230/240 Call Call 4.0"
VTA900-10BL 10kW 208/220/230/240 900°C Call 7.0"
3-Phase Custom (high kW) 240/440/480 Variable: 700 -1100°C Call/Contact Call/Contact Depends on Model Typical 10-20 inches Diameter and about 50" Length. 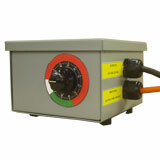 LTA Models allow for easy idependent control of power and flow-rate. 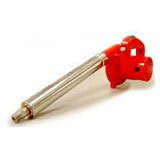 LTA Airtorches™ are to be used with compressed air and power controller. LTA's are highly energy efficient, but not used where complete sealing is required. For sealed units please click to MVTA and MTA models. LTA models are fully compatible with electronic control panels, allowing for accurate control of flow rates and temperatures for your process. 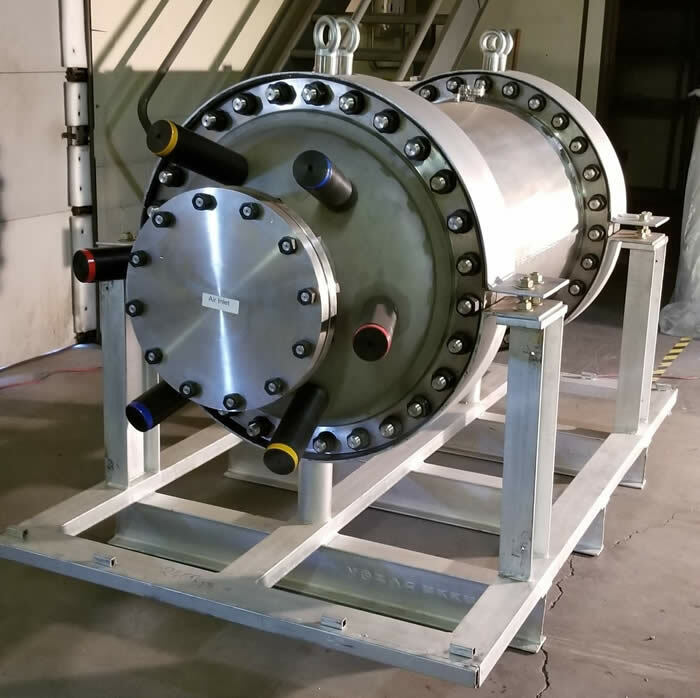 Suggested uses for these models include integration into existing systems for cable conveyors, drying, process heating, coatings, production line heat treating and a number of other specific process applications. LTA models are not designed to be as well sealed like MTA and MVTA models so should not be used with all gasses. 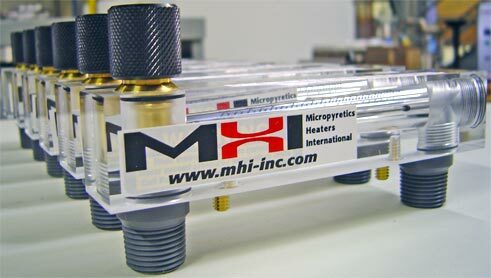 Please contact MHI for free die-heating Powerpoint presentation and ROI case studies. *At full power the minimum flow required is higher. This is also minimum airflow required when fully energized to rated kW. 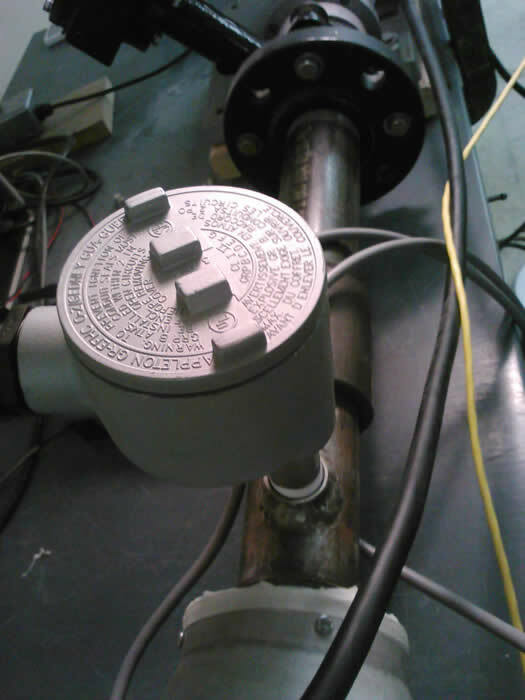 All LTA models feature an optional Temperature Indicator module. 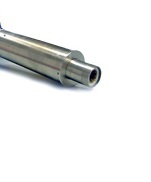 All LTA models feature an integrated Type K thermocouple. Note that dimensions are to be read within a standard tolerance. Flow Rate vs. Temperature Charts. 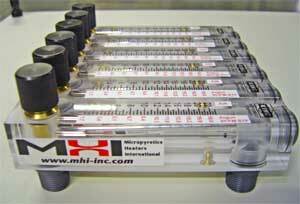 MHI units feature a nearly 100% power transfer efficiency. 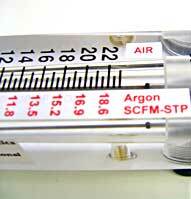 Set the LTA flow with a SCFM flow meter. 1kW 115/120, Single Phase 850°C 1.4 SCFM, 1.8 SCFM BPAN 2.1"
(115/120 is Special Order) 850°C ~4.0 SCFM, 5.3 SCFM BPAN 3.3"
4kW 220/230/240, Single Phase 850°C 8.0 SCFM, 11 SCFM BPAN 4.0"
60kW and higher available see MVTA, please call MHI at 513-772-0404 for more information contact us. All dimensionsshown above are typical/nominal. Please contact MHI for specific dimensions relevant to your quotation. Call 513-772-0404 to discuss or email us. VTA900-10BL use after months of steady use. The life can be considerabley high when used carefully especially 100C below the maximum rated temperature. For best life, MHI controls are recommended. 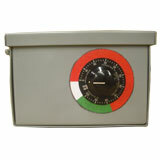 Controls provide overtemperature and other safety interlocks when offered. Schematic example of VTA in use for preheating and continuous heating of a extruder charge. An XPAN control system is shown. 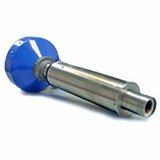 Knife Nozzle (Not Available from MHI). Picture shown only for ideation. 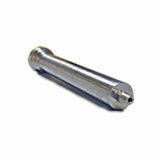 Flat nozzles dissipate more heat than round nozzles.